He's known only as 'The Dude,' and he's the greatest bowler of all time. But that drink in his hand does not look like a White Russian. Someone give the poor dude a White Russian! 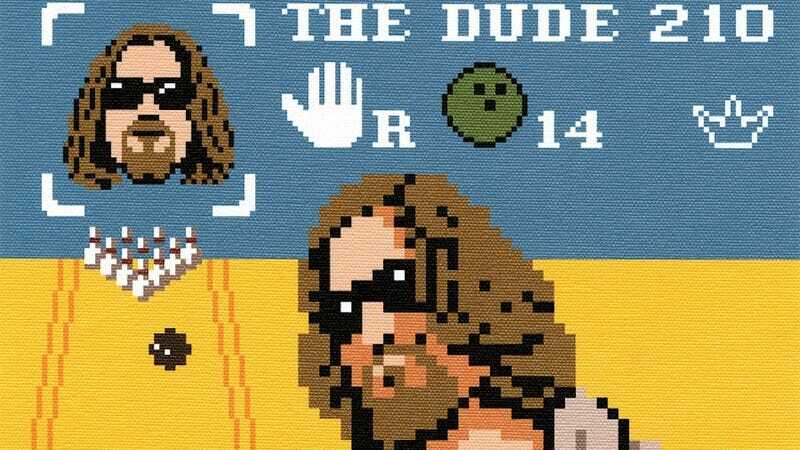 You can buy a print version of The Dude online. Check out Jesus and Walter down below, too. Dammit, Walter, again with the gun! Man, I need to watch this movie over again. Brb.